Meiringspoort is named after Petrus Johannes Meiring (1799 – 1876) who arrived from Worcester near Cape Town in the Western Cape in the 1820’s. He was of German descent, the grandson of Pastor Arnoldus Meiring who arrived in South Africa from Lingen in Germany in 1743. In the 1850s farmers of the Great Karoo, north of the Swartberg, had great difficulty transporting their wool to Cape Town for export on ox wagons and although Mossel Bay was the closest harbor, there was no route through the Swartberg Mountains to reach this port. Similarly, people from the coastal settlements of George, Mossel Bay and Oudtshoorn wanted to trade their wood, furniture and potatoes for livestock with the farmers to the north. Meiring was here to explore the Elephants River Valley between Oudtshoorn and Beaufort West, looking for a route through the Swartberg Mountain range. He eventually discovered it, following the Karoo’s Great River which flows through the gorge. In later years it became known as Meiringspoort. A road was built in 1858 that to this day remains an important transport link between Gauteng over Beaufort West along the N1 and the Garden Route. It is also a world-famous tourist attraction. 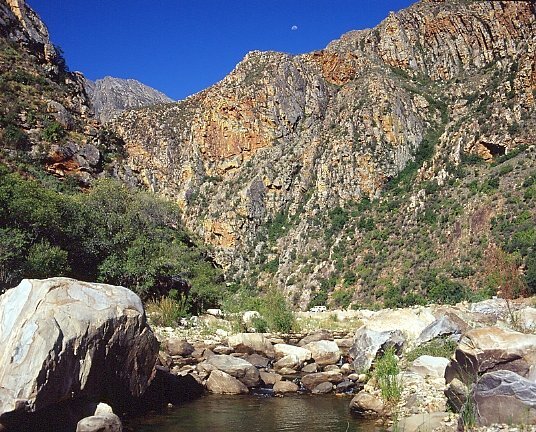 Long before the village of De Rust was established the area had already been a favorite place to 'outspan' near a mountain spring and rest before tackling the challenging route through the gorge. 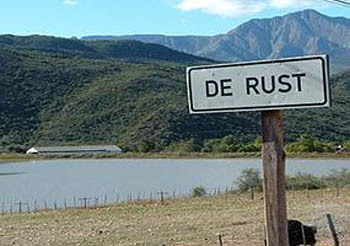 Thus De Rust (literally translated as “The Rest”) was established in 1900 on a portion of Meiring's farm. 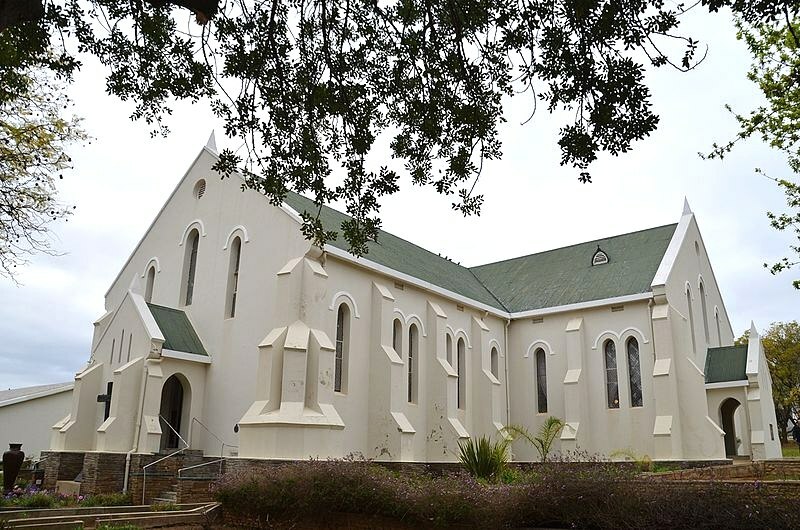 Today it is a quaint and serene Victorian village that boasts quite a few historical buildings, including the Dutch Reformed Church which dates from 1899.